Join our team and put your social skills to work! We are seeking a digital marketing whiz to lead our not-for-profit team on a part-time basis. Ideal intern opportunity for graduate level Marketing major. Responsible for fresh content of four websites as well as digital marketing strategies that boost business and demand for services on Facebook and other social media. 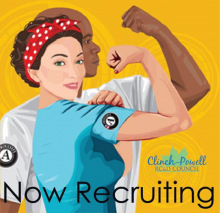 This is an AmeriCorps service position available now with a start date no later than May 1. Earn a living stipend and educational award package of $9,390 working part-time! EEO Recruiting will continue until the position is filled. Send resume to cprcdinfo@gmail.com.